Motorcycle and sculpture in equal measure. 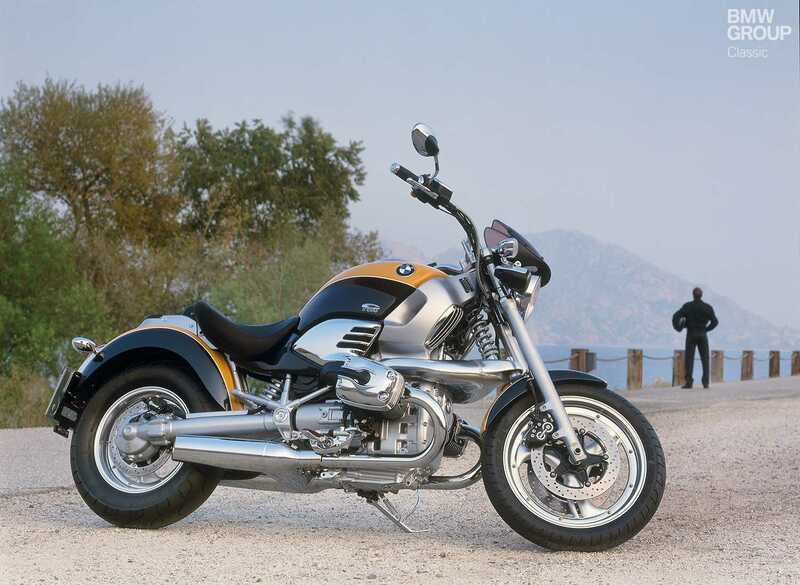 The R 1200 C, BMW’s first cruiser, is an unmistakeable thing. There’s no harm in dreaming. 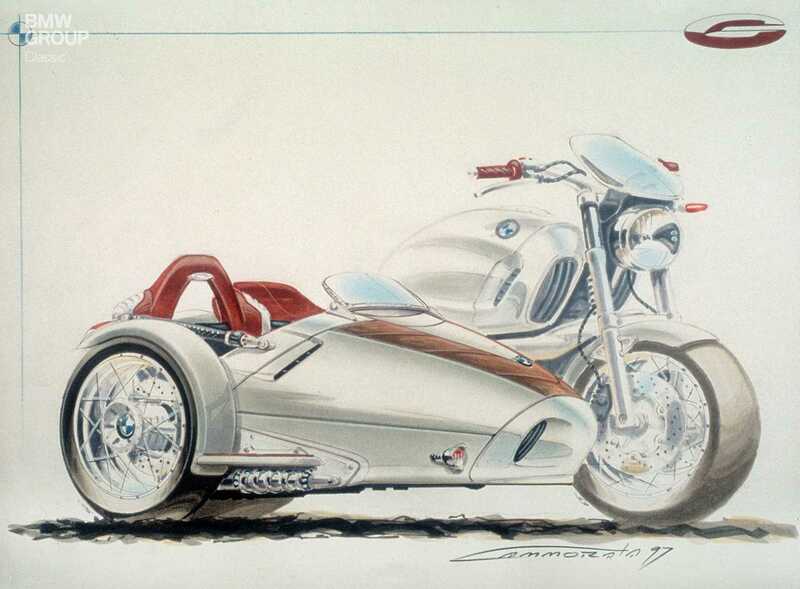 This sidecar study from 1997 never made it into production. Wanderlust, expressed in metal: a BMW R 1200 C Independent. A winding coastal road, the evening light – but not a hint of hurriedness. 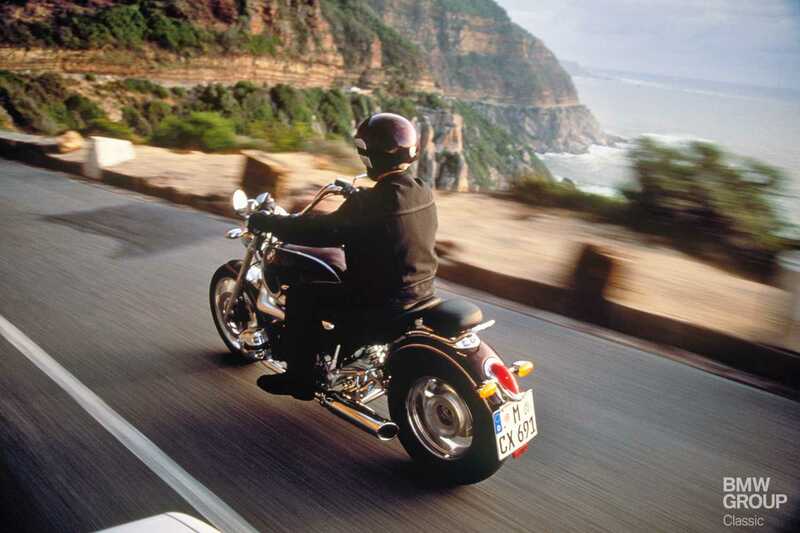 The R 1200 C had all the torque required for the job at hand: here was cruiser feeling in its purist form. The Telelever fork took on a special form in keeping with the overall design and represents a defining, eye-catching feature of the R 1200 C.
Her Majesty’s favourite spies are not exactly famous for their relaxed driving style and fondness for looking after the vehicles entrusted to them. Take a certain James Bond, who has tended to emerge unscathed from one world-saving scrape or other while his wheels come to a sticky end in the service of queen and country. In the 1997 yarn Tomorrow Never Dies, Pierce Brosnan (or, more accurately, stuntman Jean-Pierre Goy) showed us what the fundamentally mild-mannered BMW R 1200 C was capable of when encouraged to blow its own trumpet. A BMW motorcycle the likes of which we had never seen before was duly propelled into movie stardom. What 007 was showcasing in such spectacular and enduringly memorable style was BMW’s daring, determined assault on a new class of bike – the cruiser. A mixture of retro appeal, fully-throated tones and chrome aplenty to go with a low and lazy seating position provided the requisite lashings of captain cool. A cruiser doesn’t encourage traffic light derbies and has no particular wish to cross a river or scale a mountainside. But if your evening ride involves gliding towards the setting sun, stopping off at a beach bar on the way home, it will do you proud. Turns out that when biking gets languid, it gets rather delightful, too. It was back in 1993 that BMW pulled the covers off the new four-valve flat-twin boxer engine, with capacity increased to 1,170 cc for the R 1200 C but developing a relatively modest 61 hp. Top of the engineers’ wish list, you see, was a generous helping of torque – and a maximum 98 Nm (72 lb-ft) was duly served up at 3,000 rpm. At the bike’s presentation in Tucson, Arizona, comparisons were made between its torque curve and a bison’s back – rising steeply, tapering off gradually, a defining image of power and endurance. The top speed of 168 km/h (104 mph) was of secondary importance yet proved easily sufficient for serene progress. A pair of large brake discs at the front and one at the rear were evidence of a zero-compromise approach to safety. And standard specification also included a catalytic converter from the off. 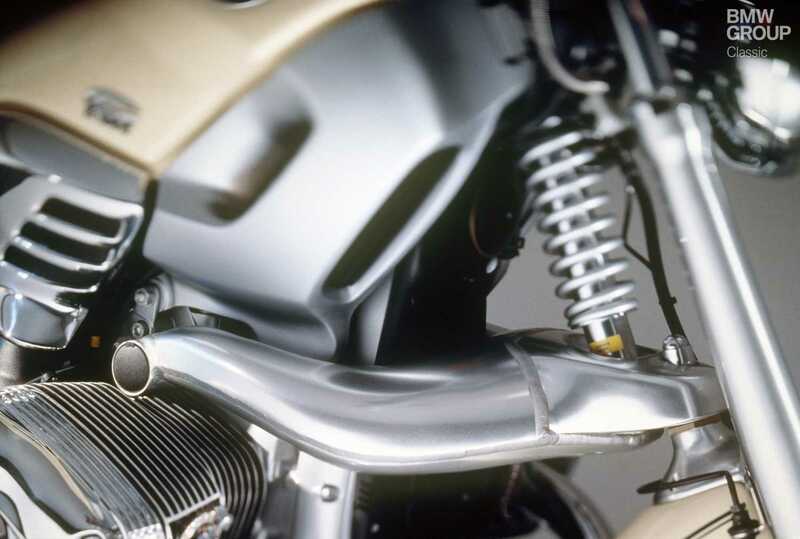 The designer of the R 1200 C, David Robb, created a technical sculpture without apparent precedent. It necessitated the construction of an all-new frame composed of steel and aluminium components. Only BMW’s now hallmark Telelever fork was carried over. A particularly eye-catching element here was the rather stylish connecting piece between the engine and Telelever shock absorber. Although the bike’s folding backrest could be pressed into action as a seat for the pillion passenger, a large saddle was also available. A range of different handlebars, screens and panniers allowed the R 1200 C to be tailored to the individual. 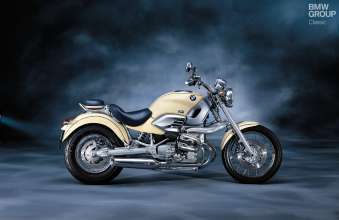 The BMW R 1200 C turned heads wherever it went post-launch. It was a strong seller, but its initial engine capacity left no further room for expansion. Perhaps for this reason (among others), the decision was taken in 2004 not to line up a successor. Nowadays, the R 1200 C enjoys burgeoning cult status and has proved a smile-inducing investment for its owners financially as well as on the road. Rarely has that “cruiser feeling” felt quite so good.